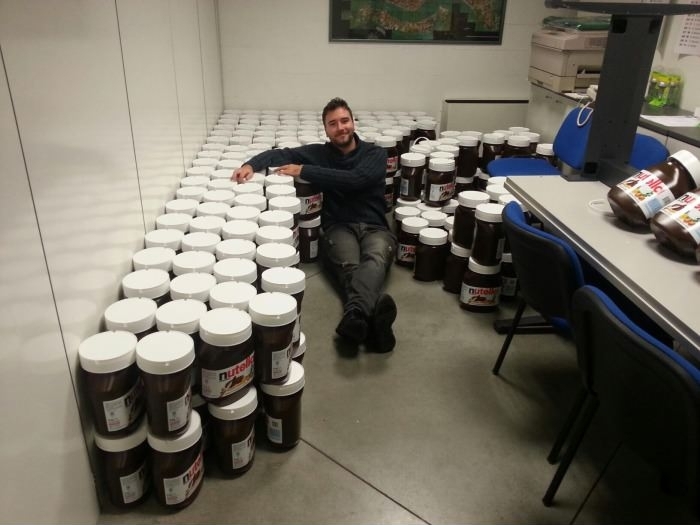 First, it was the huge theft of Canadian maple syrup last year; today we have the theft of 5 metric tons of Nutella in Germany. There's a thief out there somewhere with a serious sweet tooth . I got the giggles about both thefts! But yes, that is one serious sweet tooth! Or crates of Graham Crackers. That's an excellent combination. Definitely sinful for someone like me. How could I even resist this kind of indulgence?